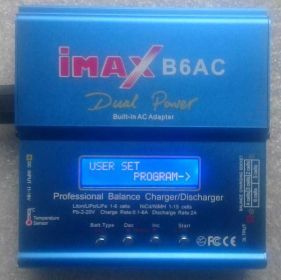 Battery chargers, charging cables, voltage balancers and other accessories. 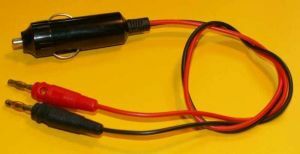 Here you can find chargers for NiCd, NiMH, Li-Po, Li-Fe or lead-acid batteries from the specialized chargers to the universal chargers that can charge the most usually available batteries. You'll also find the charging cable with banana plugs 4 mm and various connectors. There are also transition cables and other accessories such as balancers, fans, charging control circuits, etc. Basic description: pair of bannanas (red and black), diameter 4 mm, golden plated, current to 40 A. 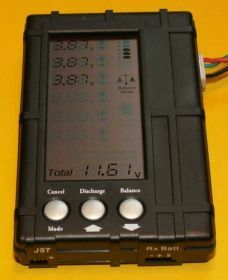 Basic description: ballancer and voltage limiter for Li-Fe battery, 4 separate sections, balancing current to 7.5 A, limit voltage of 3.61 V, ballancing by external driving. Basic description: charging cable with bananas and car connector, length 50 cm, cross-over 1 mm2. 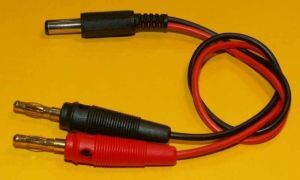 Basic description: pair of crocodile clips, red and black, current to 30 A. Basic description: fair-proof bag for battery charging, size 150 x 200 mm. Basic description: charging cable with bananas and small crocodile clips, length 25 cm, cross-over 1 mm2. Basic description: charging cable with bananas and big crocodile clips, length 40 cm, cross-over 1.5 mm2. 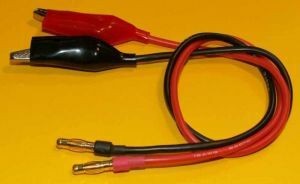 Basic description: charging cable with bananas and coaxial connector 5.5/2.1 mm (usually Hitec or Graupner transmitters), length 25 cm, cross-over 1 mm2. 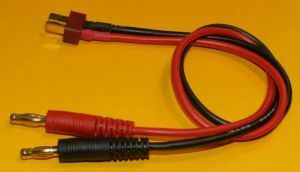 Basic description: charging cable with bananas and coaxial connector 5.5/2.5 mm (usually Futaba transmitter), length 25 cm, cross-over 1 mm2. 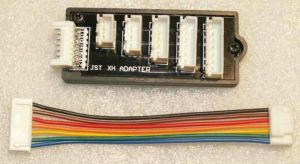 Basic description: EEPROM memory to the latest software to BEL2000 v4.4 06/06/2007. 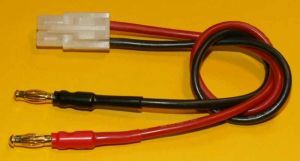 Basic description: charging cable with bananas and bigger Tamiya female connector, cable length 25 cm, cross-over 1 mm2. 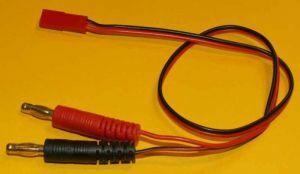 Basic description: charging cable with bananas and servo male connector, cable length 40 cm, cross-over 0.15 mm2. Basic description: charging cable with bananas and male connector JST, cable length 40 cm, cross-over 0.25 mm2. 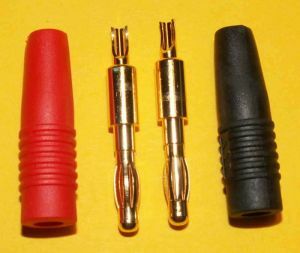 Charging cable with bananas and T connector, cable length 25 cm, cross-over 1 mm2.